We enjoyed our stay at Emerald Oasis. The house was very clean. It does original appliances from when it was built but they all worked perfectly. The pool was VERY near to the house and the pool and pool house where nicely maintained as well. The walk to the beach was a little longer then we would have liked...but not that bad. I would definately rent again. This is the second home we rented from Harmony and if we vacation in the area again.. I will try to rent thru them again. They, also, installed a hand held shower head for us (in both homes we rented)--which was very helpful. We thank you for sharing your review for The Emerald Oasis in Miramar Beach, FL. We are delighted to know that you all had such an enjoyable stay in this beautiful private home, and that you all so enjoyed being close to one of the community pools. 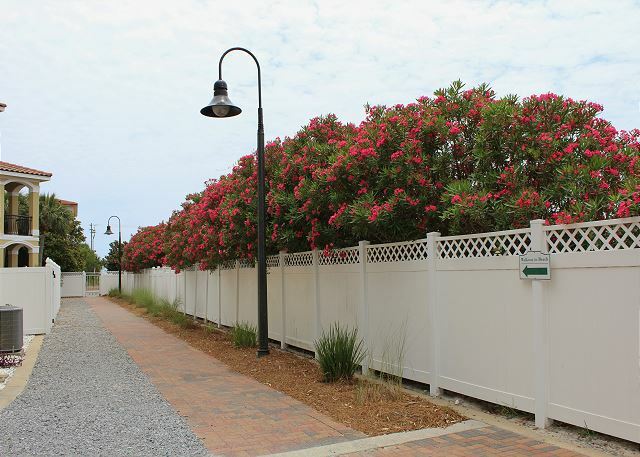 For your next stay, if you prefer not to make the short walk to the beach, let us suggest free public parking for you. We appreciate having you all as our guests and we hope to be welcoming you all back again soon as our guests here in beautiful Miramar Beach, FL for another wonderful beach vacation! Thank you for your review of the Emerald Oasis in Miramar Beach, FL. We are delighted to hear that you all had a great vacation stay in this beautiful home! We hope to welcome you all back again soon as our guests for another wonderful beach vacation stay with us here on Florida's Emerald Coast! Thank you for sharing your review for The Emerald Oasis in Miramar Beach, FL. We are delighted to know that you all had a wonderful beach vacation stay and that you so enjoyed this beautiful private home, as well as the great gated neighborhood! We hope to be welcoming you all back again soon for another beach vacation stay with us here on Florida's Emerald Coast! Great vacation place and Harmony Beach was terrific! The place was wonderful and harmony was very accommodating!!! We will definitely use them again! Thank you for sharing your review for the Emerald Oasis in Miramar Beach, FL. Thank you for your kind words for our team! We are so pleased to know that you had a wonderful stay with us and that you so enjoyed this amazing home! We look forward to having you return as our guest for another great vacation stay with us here on the Emerald Coast! Would come back for our next family trip! Thank you for your review of the Emerald Oasis in Destin, FL. We appreciate having you all as our guests and we're so happy to know that you all had a great vacation! We hope to welcome you all back soon for another wonderful beach vacation stay with us here on the Emerald Coast! Great house in safe, private neighborhood. 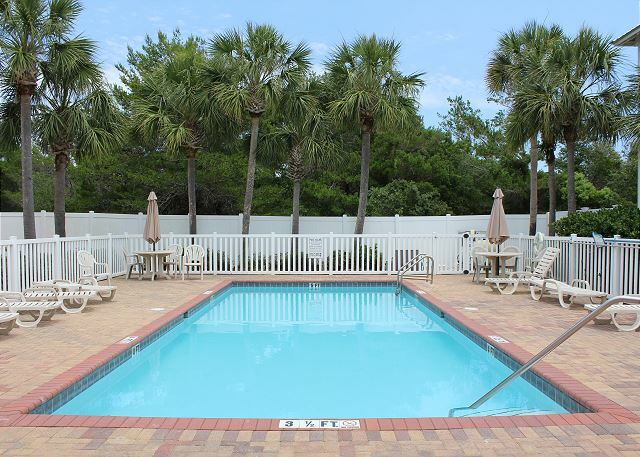 The beach is only a short walk away and one of 2 community pools is right outside the door. House was cleaned. Minor maintenance issue with AC but was responded to within an hour. 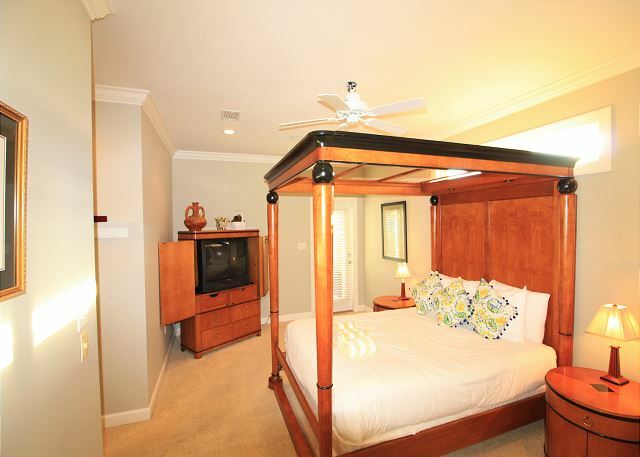 Mattress in master bedroom was too soft for our liking, but beds in other rooms were just fine. 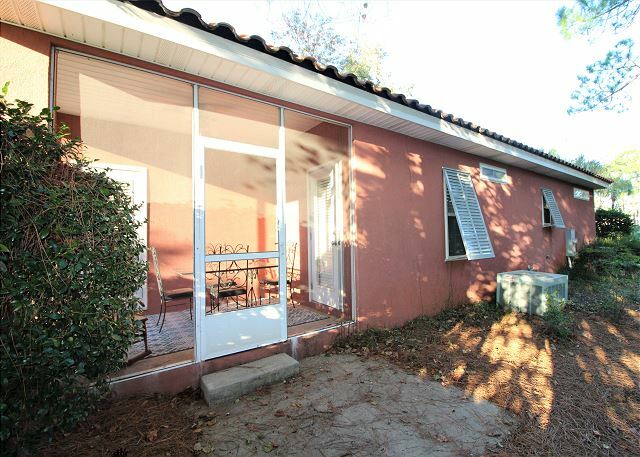 Great house for family or couples wanting more privacy than a condo offers! Thank you for sharing your review for the Emerald Oasis. 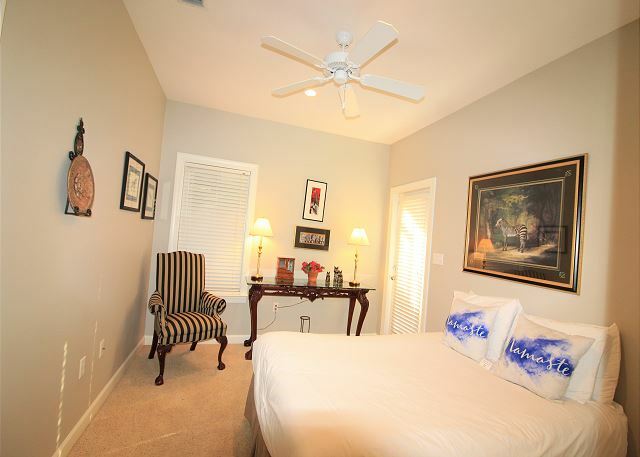 We are pleased to know that you all had a wonderful stay with us in this beautiful home! We're happy to hear that you were able to enjoy the pools and the beach as well as the privacy this home offers. We thank you for letting us know about the a/c so that we had an opportunity to remedy that for you. We would love to welcome you all back soon as our guests in beautiful Miramar Beach, FL! The rental met our needs perfectly. As a family of five, the rental provided plenty of space and the kitchen proved to be very useful - much better than a typical hotel room. The rental was very clean and maintained well on the inside and not bad on the outside. Our only complaint would be that the mattresses were uncomfortable. The mattress my wife and I had sagged a lot in the middle and kept us from sleeping well at times. Other than that the place was awesome! Thank you for sharing your review for the Emerald Oasis. We are so happy to know that you all had a Fun Vacation stay with us in Destin and that you so enjoyed this beautiful home! We are sorry to hear that you didn't find the bed in your room comfortable, and we thank you so much for your feedback on this We would love to welcome you all back soon for another wonderful Beach Vacation stay with us! Great experience very clean, will recommend anytime & location wonderfull. Thank you for sharing your review. We appreciate having you as our guest on the Emerald Coast and we are delighted to hear that you all had a great time on your beach vacation at the Emerald Oasis! We would be very happy to welcome you back soon as our guests! THIS COZY LITTLE HOME IS GREAT IF YOUR TRAVELING WITH YOUR FAMILY, IT'S QUIET BEAUTIFUL HOME AWAY FROM HOME. Thank you for sharing your review for the Emerald Oasis. We are so pleased to hear that you and your family had a wonderful Family Vacation stay in this beautiful home! We would be very happy to welcome you all back soon to your home away from home in Destin, FL! This is our fourth year staying in this home. We love the layout of the house, the location, the pools, and the serenity of the quiet neighborhood. We have stayed at several other locations through Harmony but this is our favorite!! I highly recommend this house and I won't stay with any other rental company other than Harmony!! Thank you for your very kind review. We very much appreciate having you all as our valued guests over the years and we are so happy that you all had another wonderful vacation stay with us at the Emerald Oasis. We look forward to having you all back soon as our guests at your home away from home in Destin, FL! This property was absolutely amazing! It was nice, clean,modern, and definitely my family's home away from home for the 7 days we were in Destin. It was close to everything, the beach was only a short walk away and the pool was literally in the front yard! The neighbors were extremely nice and friendly! We will definitely stay here again! Thank you for sharing your review. We are so pleased that you all had an excellent stay with us at the Emerald Oasis in Destin, FL! We're glad you were able to enjoy the pool& beach and that you enjoyed the company of others in the neighborhood. We would love to welcome you all back soon as our guests to your home away from home! Thank you for your review. We are delighted to hear that you all had an awesome& amazing time at the Emerald Oasis! 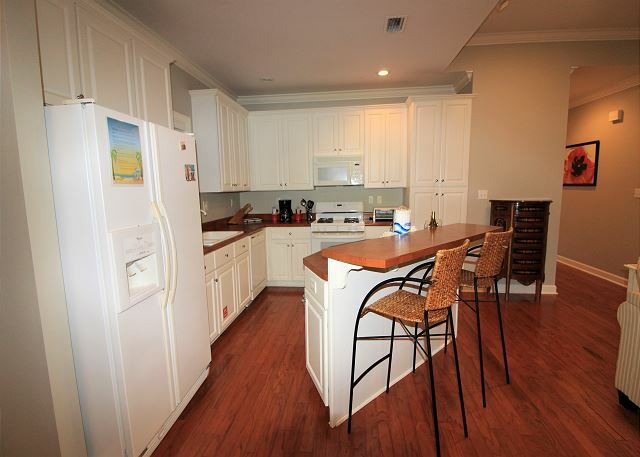 We would love to have you all back soon as our guests at this beautiful home in Destin, FL! Rental was great, staff was great and very helpful. Would definitely stay again if I go back to Destin! We appreciate you staying with us and thank you for sharing your review. It is great to know that you all had a wonderful stay at the Emerald Oasis and we would be very happy to have you back as our guests! Thank you for sharing your review. We are so pleased to hear that you all had an excellent time on your vacation stay in this luxury home and we look forward to having you back soon as our guests at the Emerald Oasis! The location was most convenient, to anything you needed with little drive time. Thank you for sharing your review. We are so pleased that you enjoyed your stay with us and we welcome you back anytime as our guests in Destin! Thank you for sharing your review. We are so pleased to hear that you all enjoyed your vacation home and you beach vacation! We hope to have you back soon as our guests on the Emerald Coast! Very well decorated cozy home. Spacious inside. Only disappointment was pool was dirty and green, didn't want to swim in it, was cleaned as we were leaving. Otherwise we loved the home, showers were great, house was clean, will return. Thank you for sharing your review. Sorry to hear that the pool needed cleaned during your stay, the community does offer 2 pools, so hopefully you were able to use the other pool during your stay. We are so delighted that you all enjoyed your stay and we would love to have you back soon as our guests at the beach! Thank you for sharing your review. We appreciate having you as our guests and we hope to have you back soon! Pictures portrayed rental perfectly. Only complaint was mattresses on beds, otherwise our stay was wonderful!!! We loved it, swimming pool close, and about 1 1/2 block walk to the beach. Beach was beautiful white sand!!! Thank you for sharing your review. We are glad you all enjoyed your stay and we hope to have you back as our guests soon! We appreciate your feedback too and we'll share your feedback with the homeowner and they too appreciate feedback of our guests. Everything was great. Perfect location, conveniently located and the house was great. Extremely friendly people manage the property. I can't say enough nice things about the entire experience. I would absolutely recommend this house. Thank you for sharing your kind review. We're so glad you all enjoyed your stay with us and we hope to have you stay with us again soon! The vacation was wonderful, the place was nicely located with a short walk to the beach. Wonderful weather in March. We will definitely be back! Thank you for sharing your review. We're so glad you all had a wonderful vacation and we're glad you'll be coming back to stay with us again! We stayed here with another couple and enjoyed our stay. The house was comfortable and homey. Everything in the area was convenient. The master suite could use a new mattress but other than that was great. The TV in the living room was old, functional but not high definition. This could also be upgraded. The house is just a short walk to the beach. Everyone in the gated community were very friendly. Would have loved to stay again, this time for February and March. But it has already been rented! Disappointed. Thank you for sharing your review. We are so pleased that you all had a wonderful experience vacationing with us! We have noted your suggestions and appreciate your feedback. Give us a call and let's discuss options available for your 2016 stay. We would love to have you back as our guests! We were attending a rehersal, rehersal dinner, wedding and reception and rented the house for 3 days so we wouldn't have to drive back and forth. The house was clean and well furnished and the three bedrooms and sleeper sofa met all our needs. Nice property, we would rent here again. Thank you for sharing your review. We are glad you all had a pleasant stay and we hope to have you back as our guests again soon! Thank you for your feedback and Congratulations on your Marriage! We're so glad you enjoyed the inside of the home and so sorry that you didn't enjoy the outside. 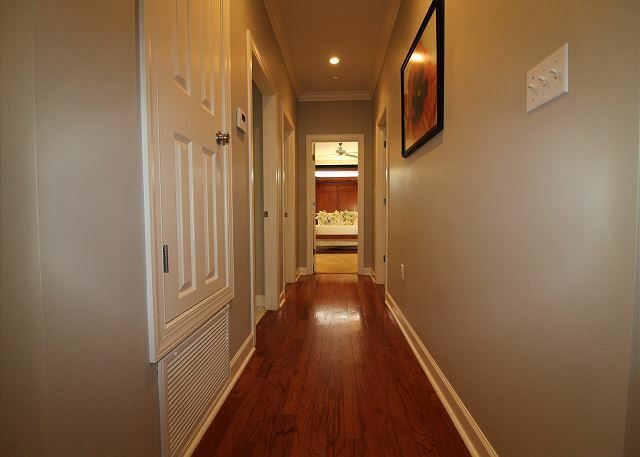 Many of our guests enjoy this particular home very much and also enjoy the rate. Since it wasn't quite to your liking, please check back with us for your next stay, our homes are updated regularly and we would love to have you back as our guests in Destin! We all loved our stay. Thank You! We're happy you enjoyed yourself and hope you'll be back soon! It was a very nice gated community with very friendly people. The beach was walkibg distance in a private beach. It was a very relaxing and awesome stay. This is our family home in Destin. My family will not stay anywhere else! And my wife is picky! It feels like home and makes our vacation more comfortable! You will love this home!